As we wrapped up June, the halfway point of the year, we had much to celebrate. So far we’ve had a great year of BMW sales and this month was no different. BMW brand sold a total of 32,176 units, an increase of 6.5 percent when compared to June 2014 when they sold 30,201. Want to know which vehicles did the best? Keep reading for more information. In June there were a few notable vehicle sales. These included the BMW 2 Series, the BMW 4 Series, and the BMW X5. The BMW 2 series is an entry level luxury convertible model which increased its June sales by 56.9 percent to 1,067 vehicles. The BMW 4 series is available as a coupe or convertible and this month increased its sales 69.4 percent to 6,625 vehicles. And last but not least, the BMW X5 is a top choice for a luxury crossover SUV and increased its June sales by 89.0 percent selling a total of 7,508 units during the month. 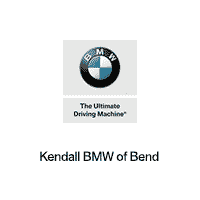 BMW of Bend is near the Tumalo area and ready to show you what our BMW vehicles have to offer. Swing by and talk to any of our sales representatives about the new or pre-owned BMW vehicles we have available on our lot. You are also welcome to take any of them out for a test drive. We hope to see you very soon!